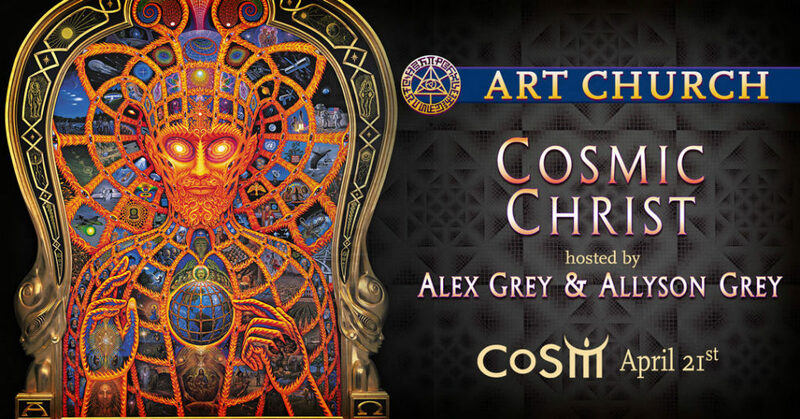 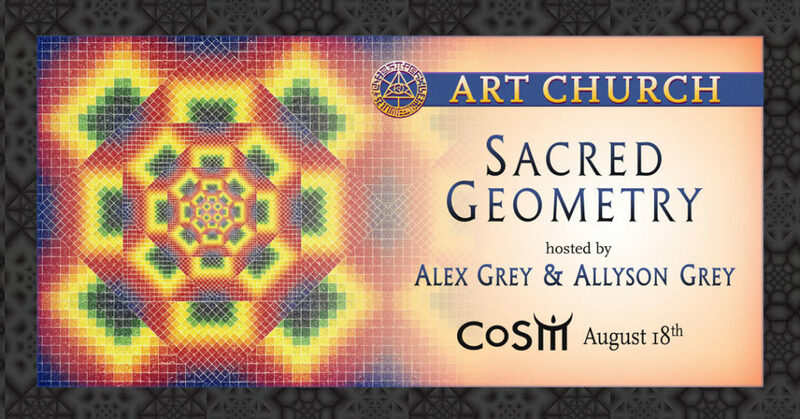 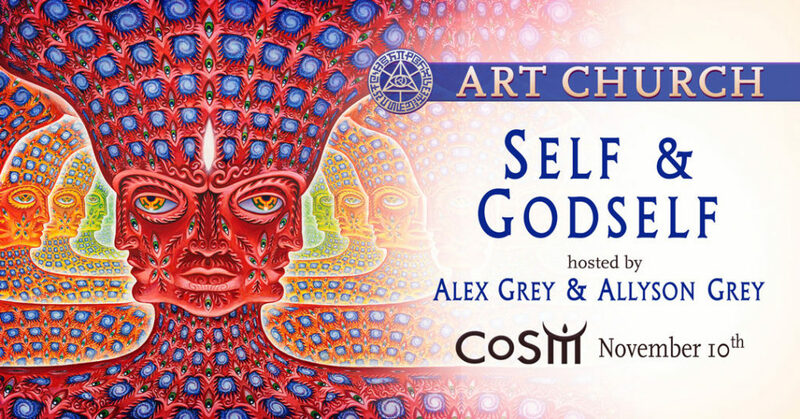 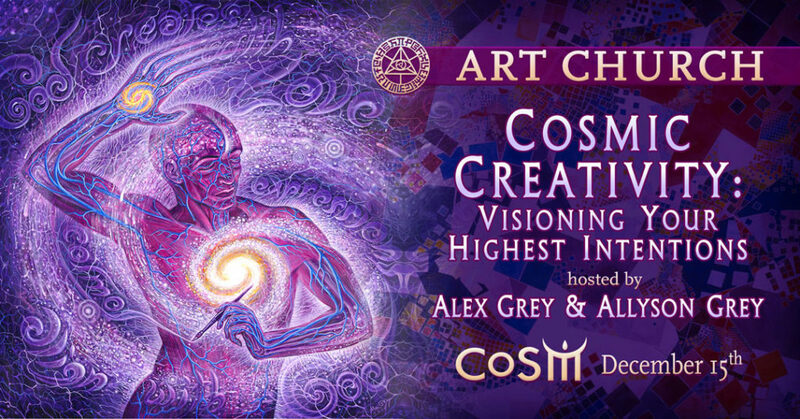 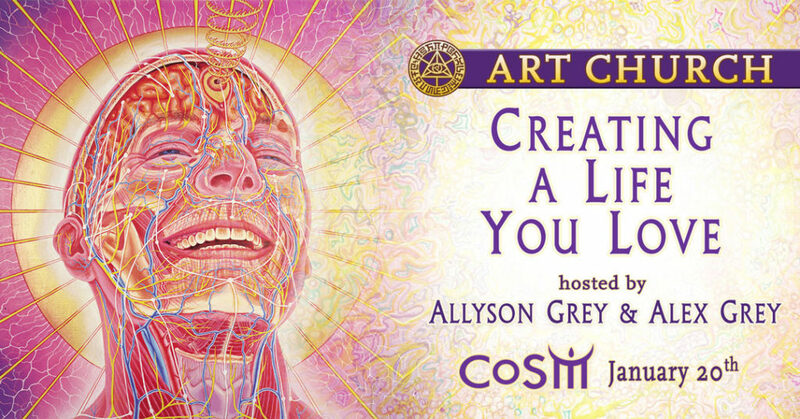 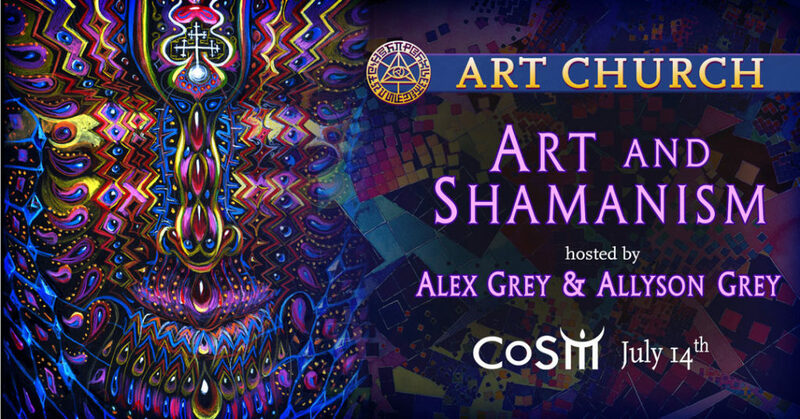 For over forty years, Alex Grey & Allyson Grey, have been artists, teachers, mapmakers and spokespersons for the visionary realm. 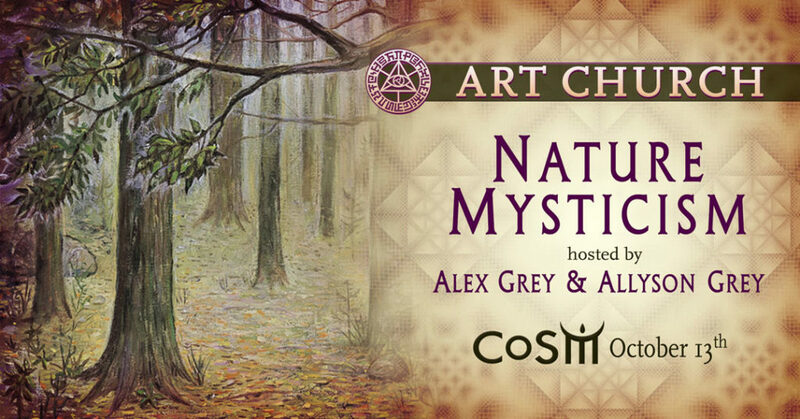 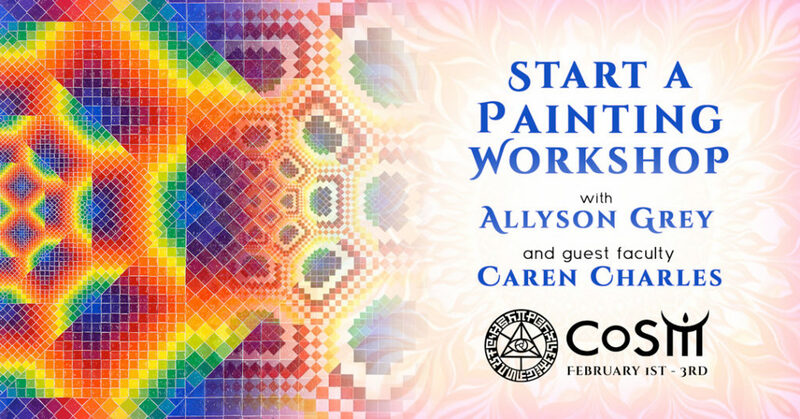 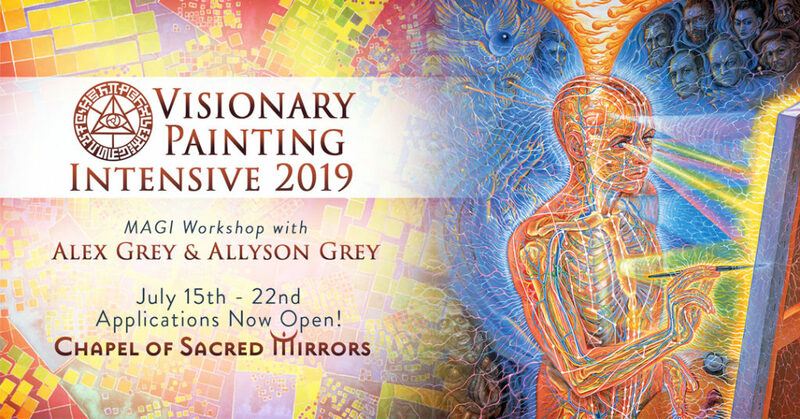 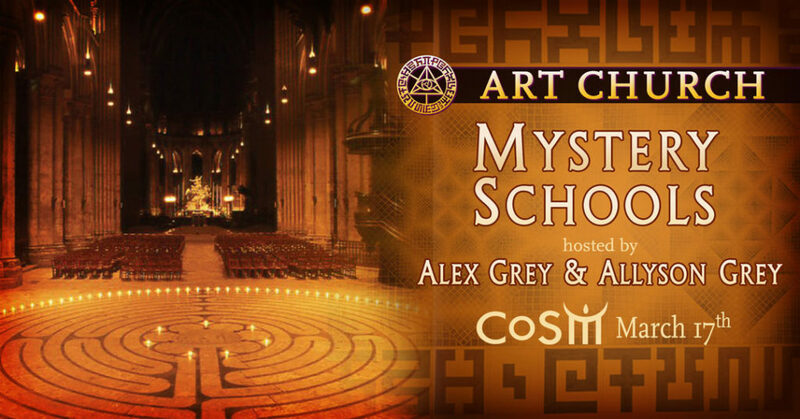 The Grey’s annually lead the Painting Intensive at CoSM, offering twenty experienced painters an intimate opportunity to convene, share skills & tips, present their work, up their professionalism and get feedback. 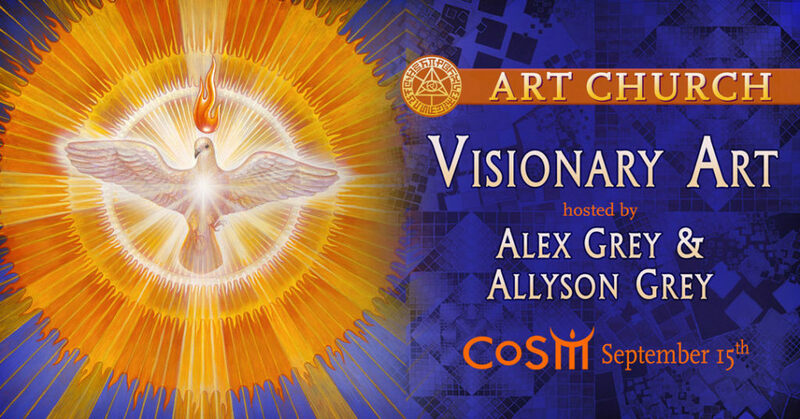 Since 1991, Alex & Allyson have practiced co-teaching their five-day Visionary Art Intensive at Omega Institute [eomega.org]. 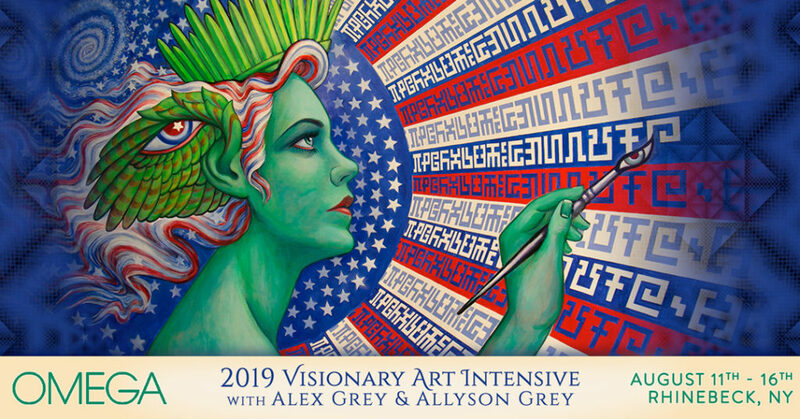 This core teaching, open to artists at every level of experience, has been an annual art retreat to evolve our access to visions and our ability to compellingly translate imagination into art. 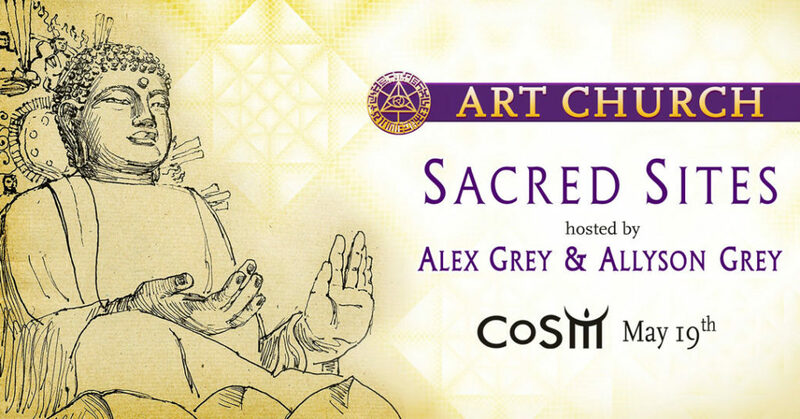 At Art Church, held Sunday afternoon after the Full Moon Ceremony, we practice art as a spiritual path in an art-making meditation. 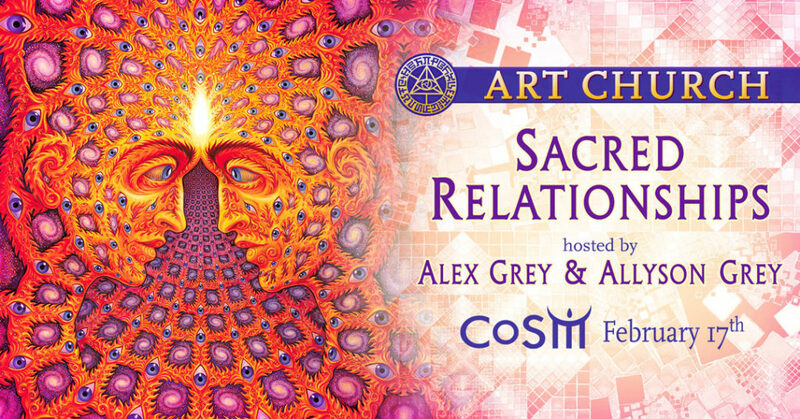 The meditation period is followed by discussion and a creative and spiritual topic of focus. 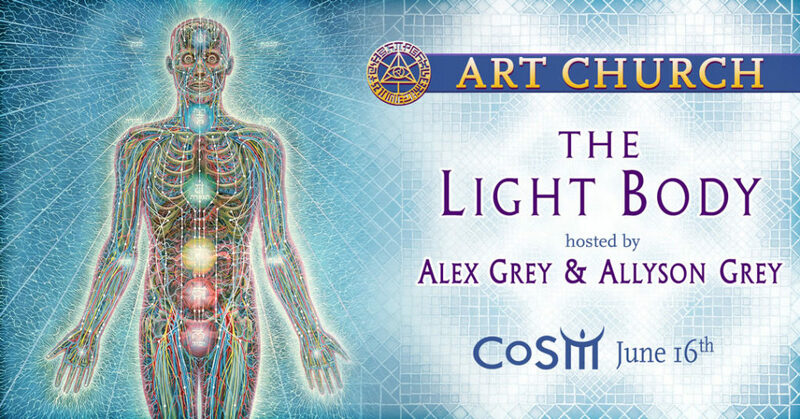 Like a sampler class, this series of three-hour workshops embody a spectrum of essential teachings offered by the Grey’s.